This expert-selected naturalizing mix features 100 top-quality bulbs at a fantastic value! Enjoy a broad, diverse range of flower forms, colors and textures, blooming in succession for an ever-changing, surprising display throughout the entire season. 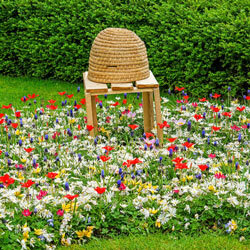 These reliable naturalizers are an excellent choice for easily starting a new flower bed, as they'll provide a vibrant show in year one and continue to spread and grow over the years. It's a considerate gift for a new homeowner who might not have time to plan and plant their entire new garden, but would still like a colorful spring. Ideal for borders and creating a container garden, with varieties for attracting beneficial pollinators, cut-flower arranging and delightful perfumes. Planting Instructions: Plant 2-5'' deep and space 4-6'' apart. Plant in well drained, humus rich soils in full sun to partial shade areas.